Tenants rely on their property managers and landlords to help address operational and building issues. Keeping a tenant satisfied will generally result in reduced turnover and increased referrals. How can you tell if you have a happy tenant? Happy tenants give reviews like this. So how can you become a great property manager and keep happy tenants? Here are a few examples and tips from our experience. Redundant requests are more efficiently processed by automation than people. Requests such as temperature adjustments can be fully automated to save both the tenant and property manager’s time. For example, our tenant center routes requests directly to personnel in charge of specific responsibilities. This is what a traditional process looks like vs. Boxer Property’s automated process. Setting up the proper workflows and systems allows for faster response times. Great property managers are juggling the needs of tenants seamlessly. They address a number of complex issues every day from numerous sources. Property managers can help keep their to-do lists organized with mordern technologies. Having good knowledge of standard procedures and familiarity with the building allows property managers to react quickly to emergencies. Having a strong training program helps educate new managers with proven practices. Having a property manager who is familiar with local surroundings is great as they can help guide new tenants. 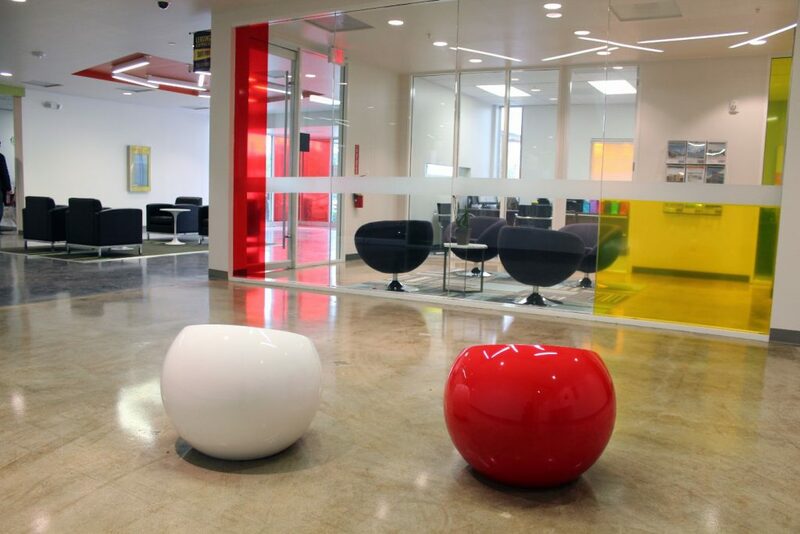 Our property managers can help reserve spaces for both team and client meetings. Pairing up your team with an inspired space can help invoke new ideas. Property managers must have access to necessary personnel to address various problems. It is unlikely that a property manager will have the knowledge and tools to address all issues in a building. A manager must have a good relationship with local maintenance companies to ensure quick service. If you don’t have on-site staff to handle emergencies and maintenance, then make sure you have local contacts to HVAC, security, plumbing, and electrical companies available. Lastly, the very best managers perform well under pressure situations to keep tenants safe. A manager who responds well to emergencies is irreplaceable to both tenants and landlords. There are countless improvements both property managers and building owners can make to improve the happiness and longevity of their tenants. We encourage you to keep finding ways to make the office a happier, more efficient destination.